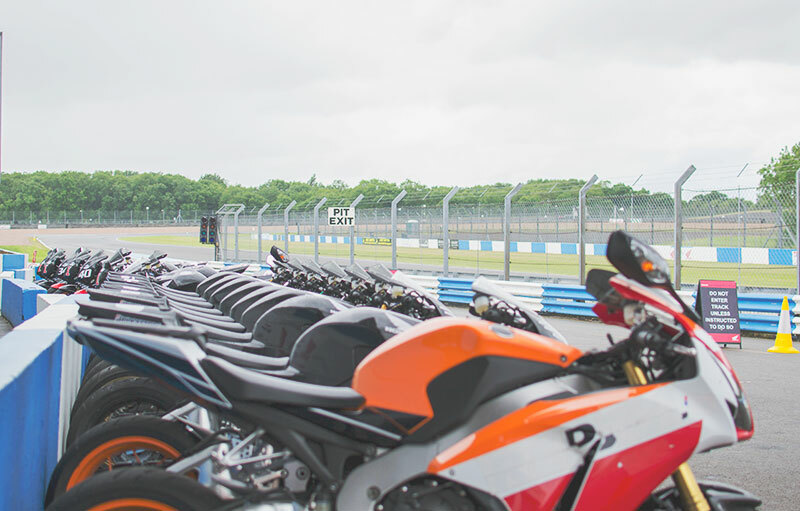 Last month we went on a very exciting trip up to Donington Park so Mr C could do a session with the Ron Haslam Race School. 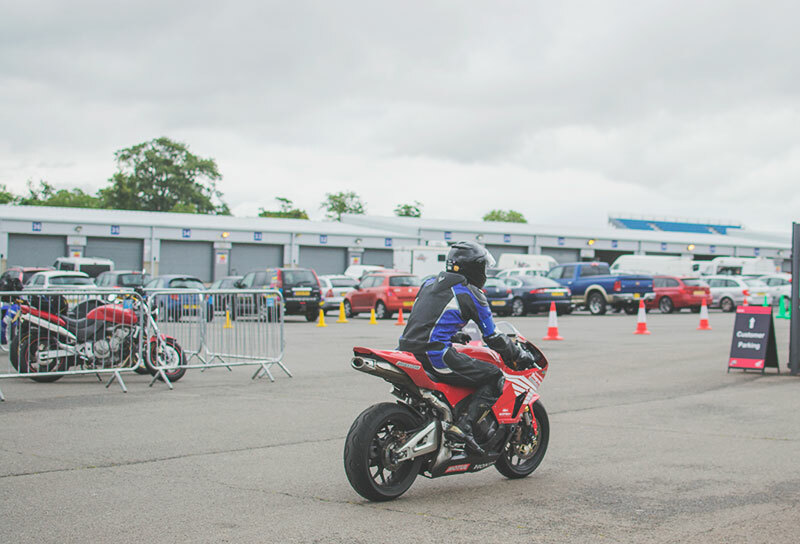 He did the premiere course which included three 15 minute sessions on track using a Honda CBR600RR. He’s never been on a sports bike before despite having spent years competing in motocross races so this was a new experience for him but one that he had always wanted to do. We have lots of motorsport fans in my family. My dad used to design Formula 1 racing cars and was always going away to the Grand Prixs when I was growing up, he also loved fast motorbikes and had one on the road (until he had a really bad crash) and Mr C went from motocross to drifting cars which is his passion at the moment although apparently he now wants to do the elite course where you get to ride a faster bike before getting his own to take to track days. Luckily he doesn’t want one on the road because given how dangerous they are I would be petrified of him going out on it. Tiger is clearly following in the footsteps of the other men in my family and is car and bike obsessed. Motorsport is dangerous but I guess I can understand the appeal and to be honest I would much rather him do this over being into football because firstly I find football really boring and secondly it’s not very family friendly, you can’t really take your kids along to a rowdy football match but we quite enjoy going to watch Mr C in car shows or doing things like this. Mr C loved it and got a really good score (92 out of 100) considering he had never ridden a bike before, the instructor gave him lots of positive feedback too about how quickly he picked it up, all of this has obviously added to him wanting to get one! There was one instructor to two riders and they would follow him around then come off track to hear the feedback on how they did. The instructor competes in the Isle of Man TT race so is pretty well qualified to instruct!! The only disappointing thing was the crappy weather, it rained pretty much all day until we were about to leave then brightened up which is typical. Obviously this meant the track wasn’t as easy to ride on as it would have been on a sunny day but given how awful the weather has been this summer it’s hardly surprising. Tiger choosing the bike he wants, he looked at this book for over an hour on the way home!! The other exciting part to this is that we had a film crew there to make a video of our day. The reason for this being that it was Money Supermarket who sent Mr C on this experience. A few months ago they contacted me and asked if I would like to help him ‘balance transfer his life’ which basically means ticking something off the list of things he’s always wanted to do but struggled to get around to. I asked him and he told me about this course so Money Supermarket very kindly sorted it out for him. It’s part of the Balance Transfer Your Life campaign that they are running at the moment and they are also giving YOU the chance to tick something off the list of someone you know, all you have to do is Tweet them at @MoneySuperMKT using the hashtag #BTYL and let them know who you think should be chosen and why. They will be picking the most deserving person and making it happen for them. The idea behind it is that many things often get left undone on a to do list, things like finding a new credit card and transferring your balance on it. It’s a job that people put off but when it’s been completed it feels like a weight has been lifted off your shoulders. I love the spin they’ve taken on it. And here is the video that they put together, I absolutely love it! You don’t get to see Mr C much on my blog and he usually gets cross if I even point a camera at him so this is probably the one and only time you will ever see him speaking to the camera! Thanks so much to Money Supermarket for this experience, we loved it! Blogging Questions: Should I Be Commenting On Other Blogs?